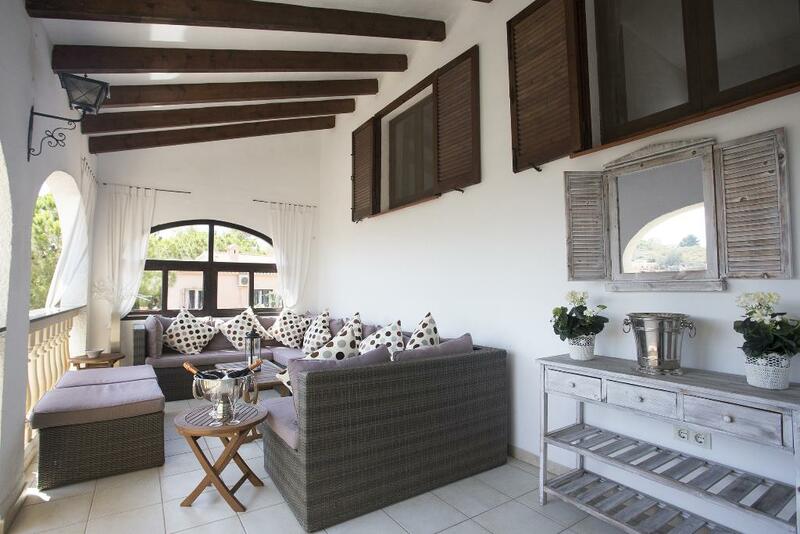 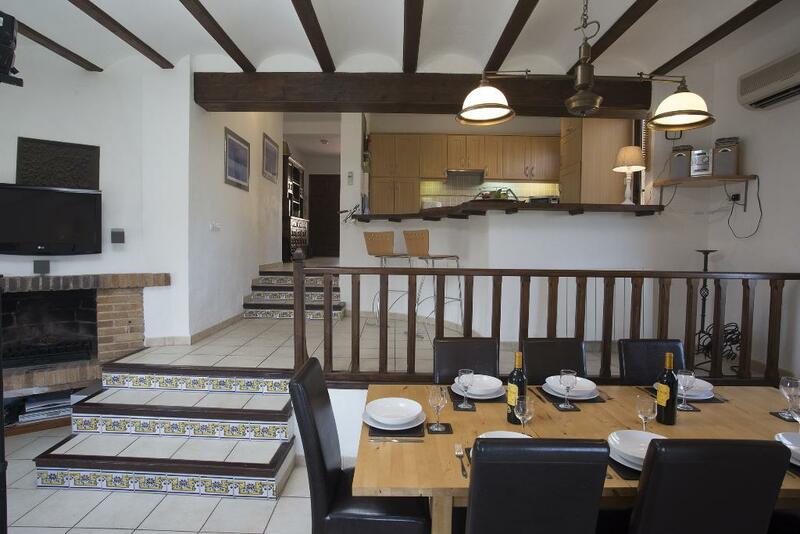 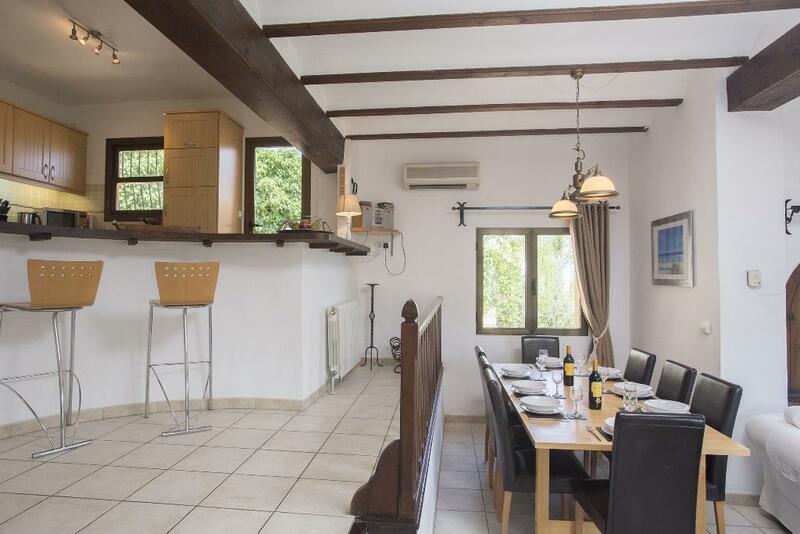 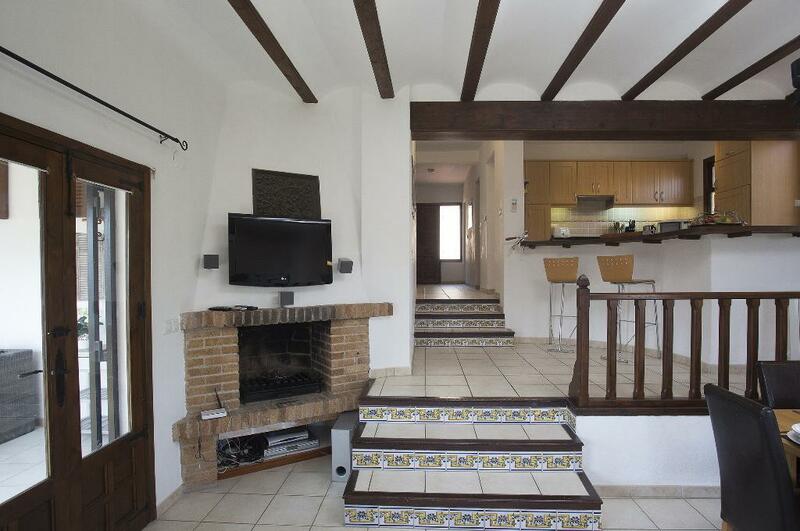 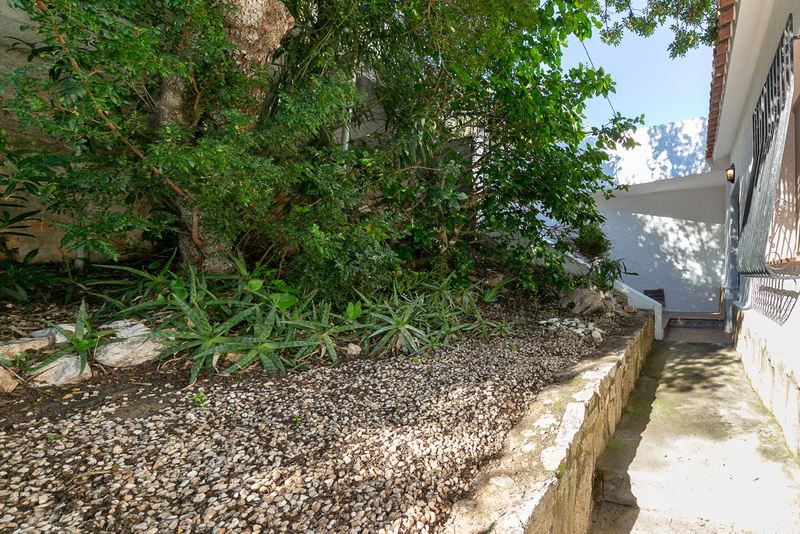 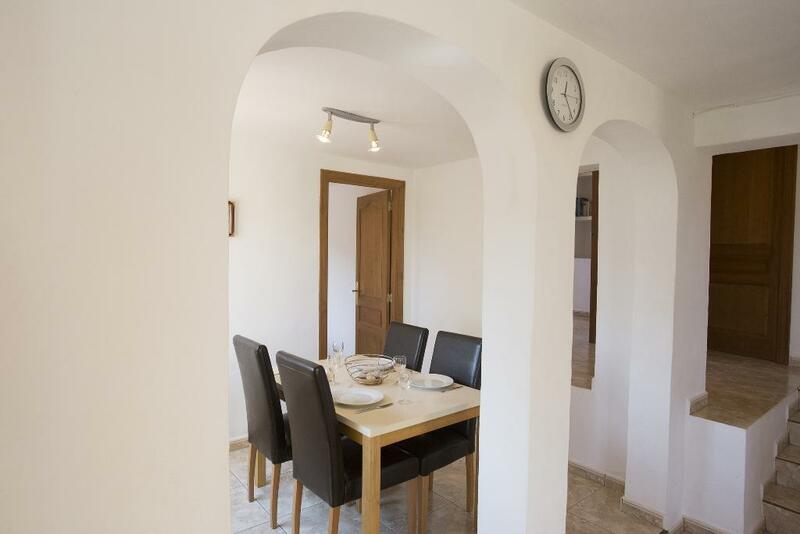 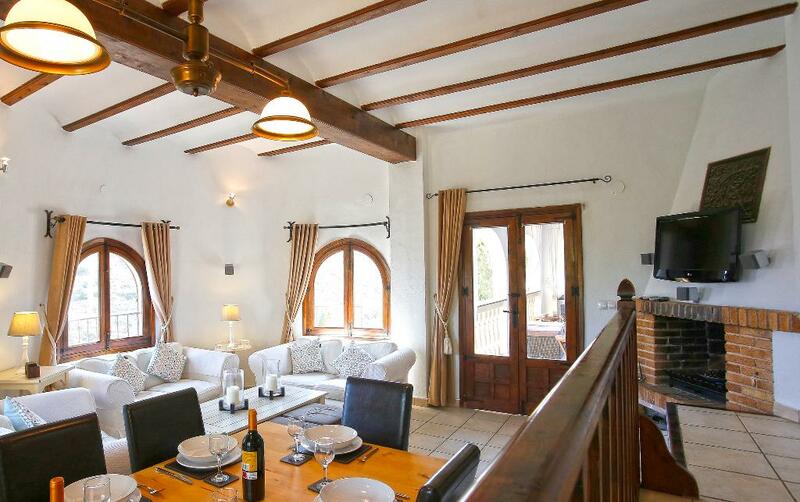 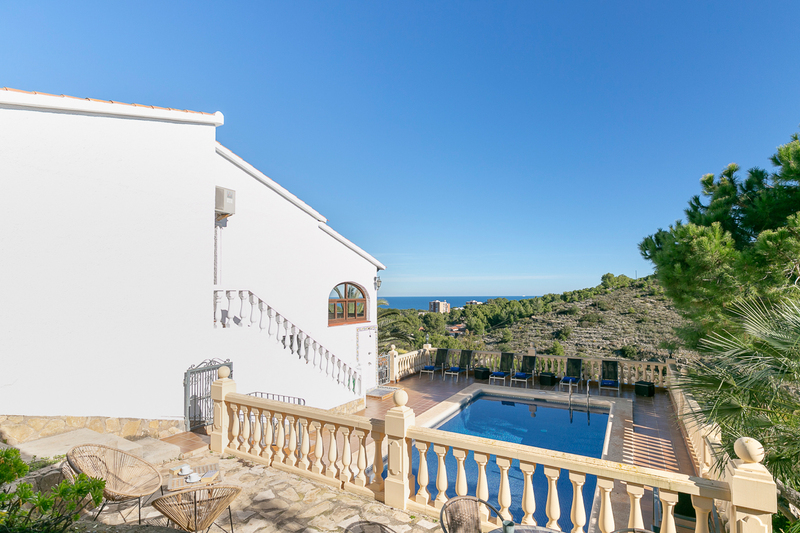 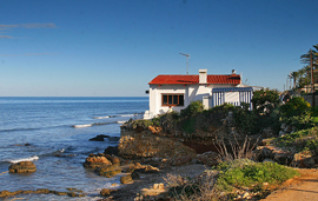 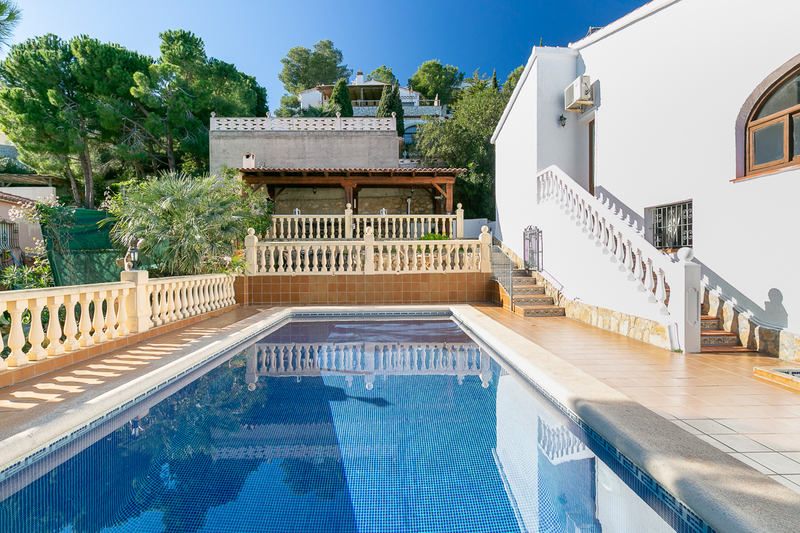 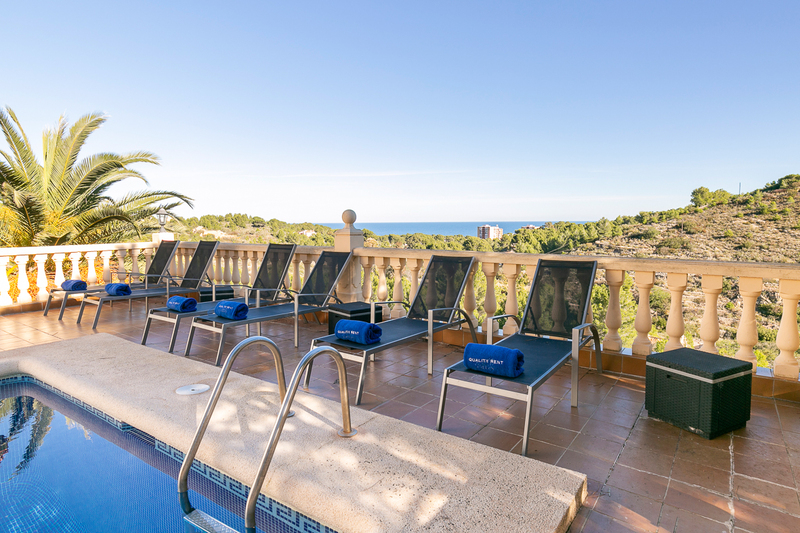 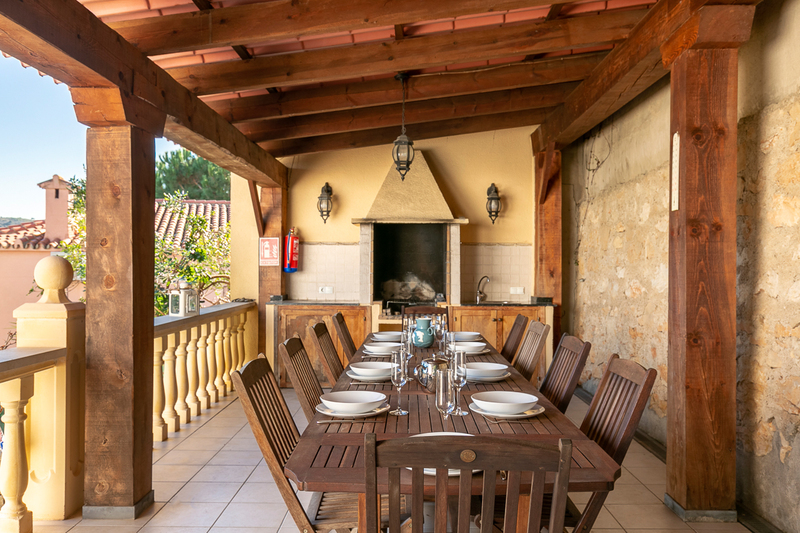 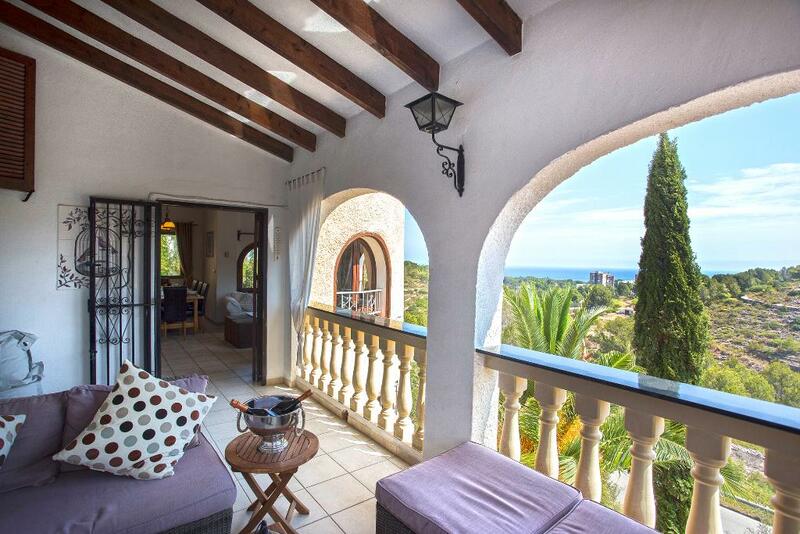 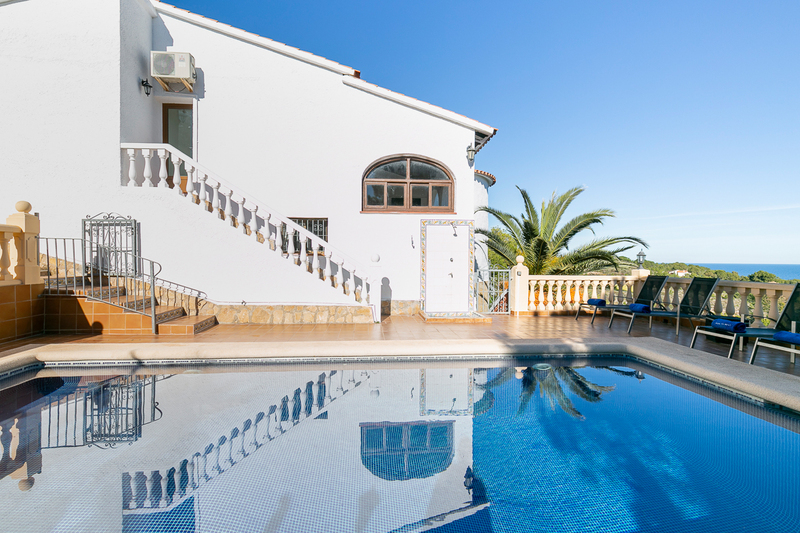 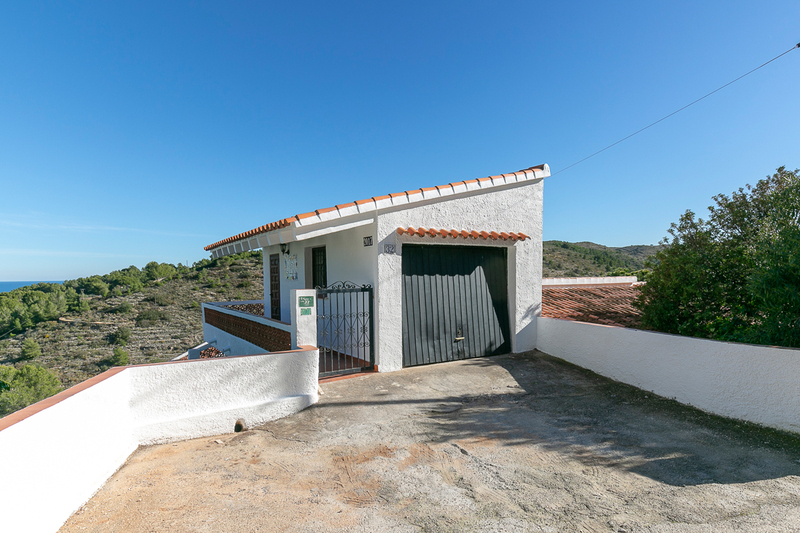 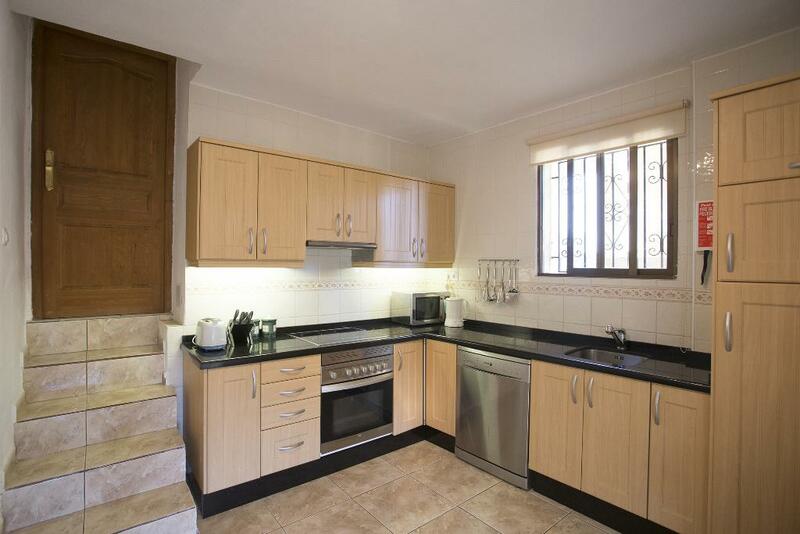 Holiday house with stunning views in Denia, Costa Blanca, for a maximum of 12 people. 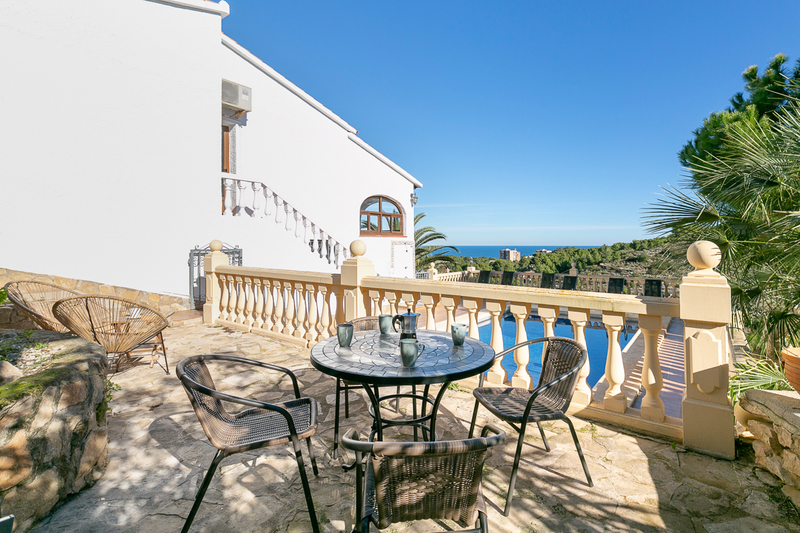 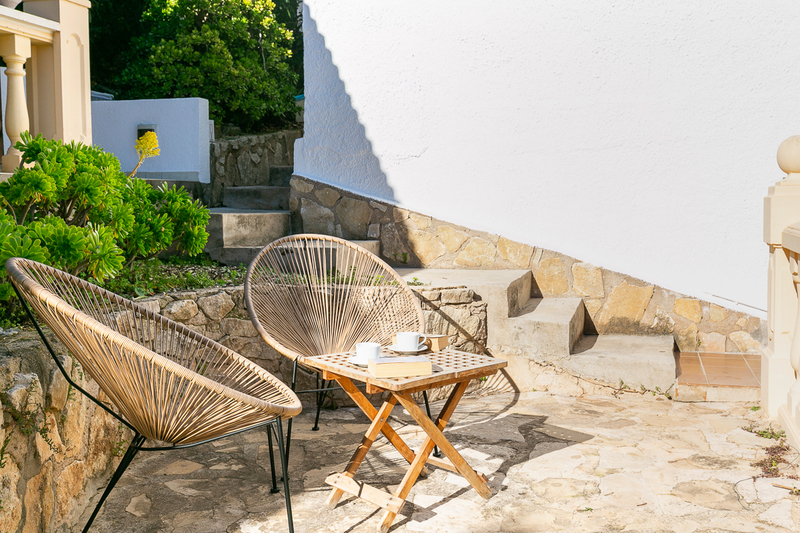 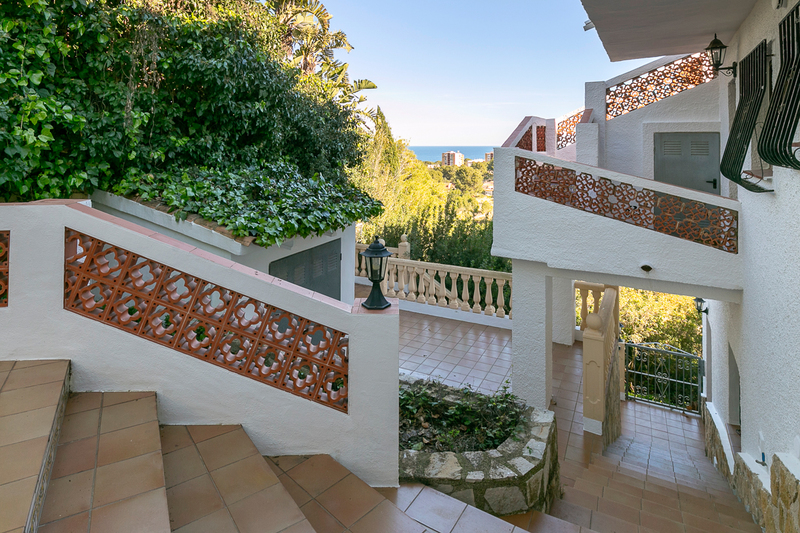 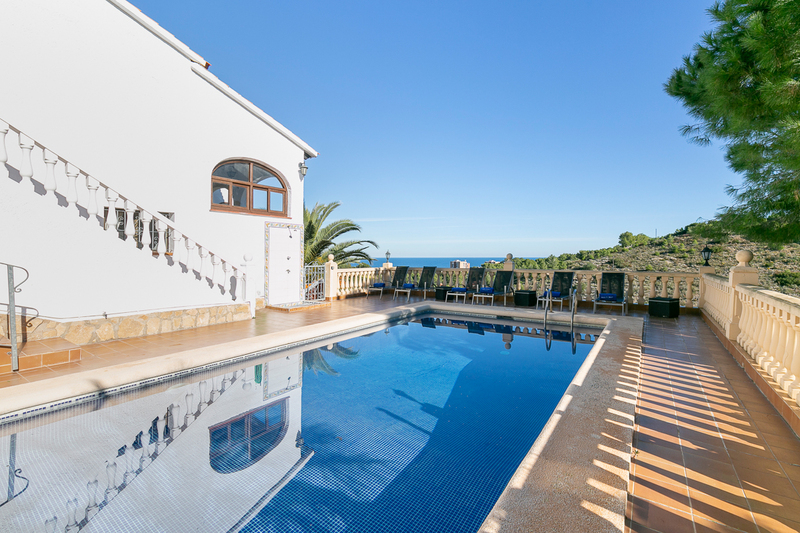 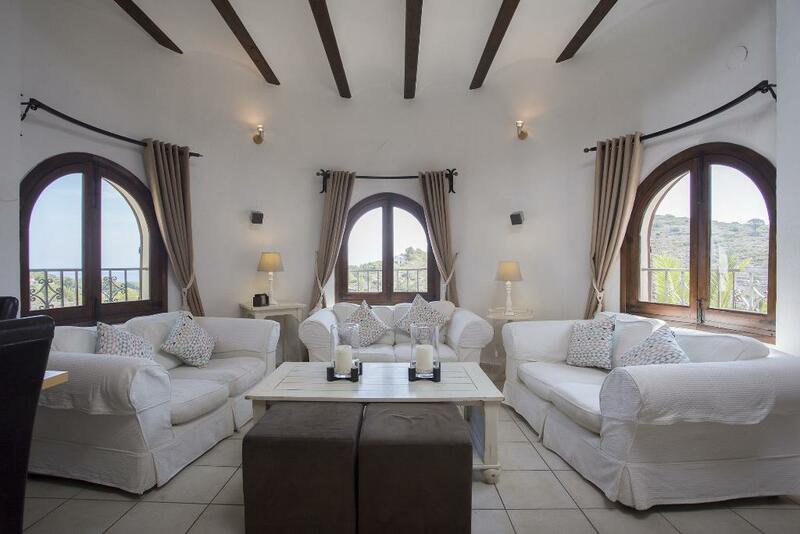 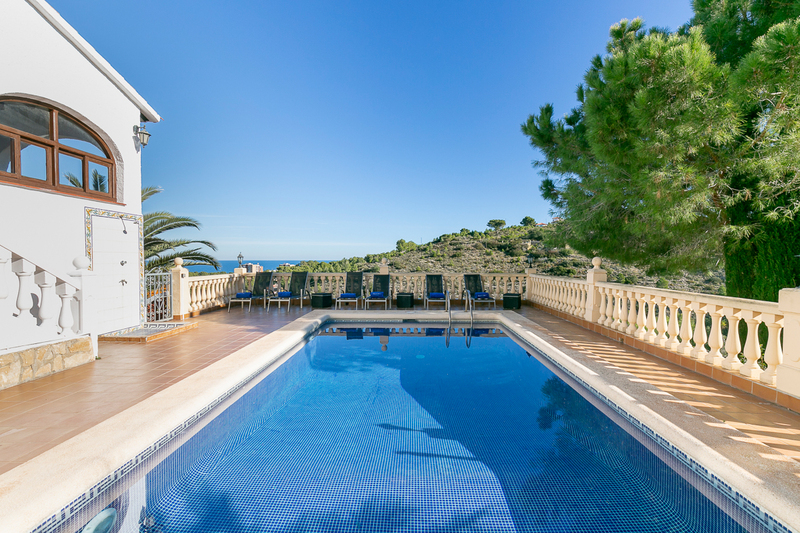 The holiday villa Casa Berg, lies at the foot of the Montgo mountain, towards Las Rotas and offers a magnificent view of the landscape, the sea and the Montgo mountain. 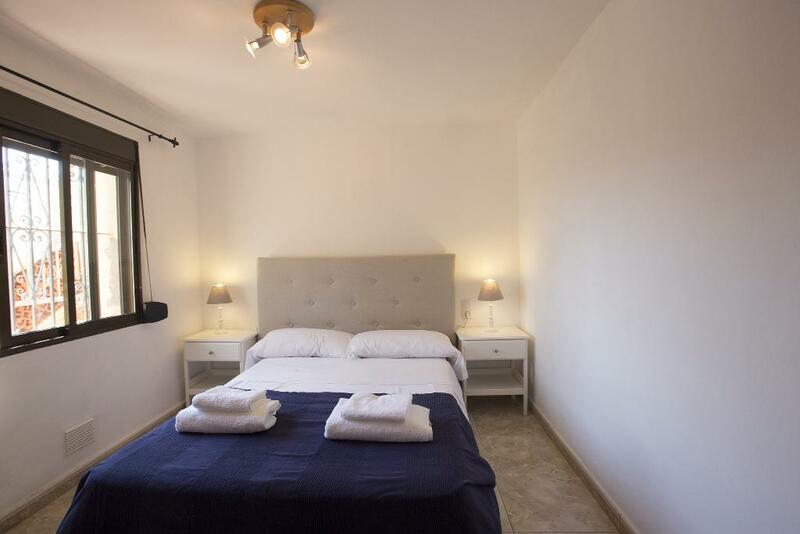 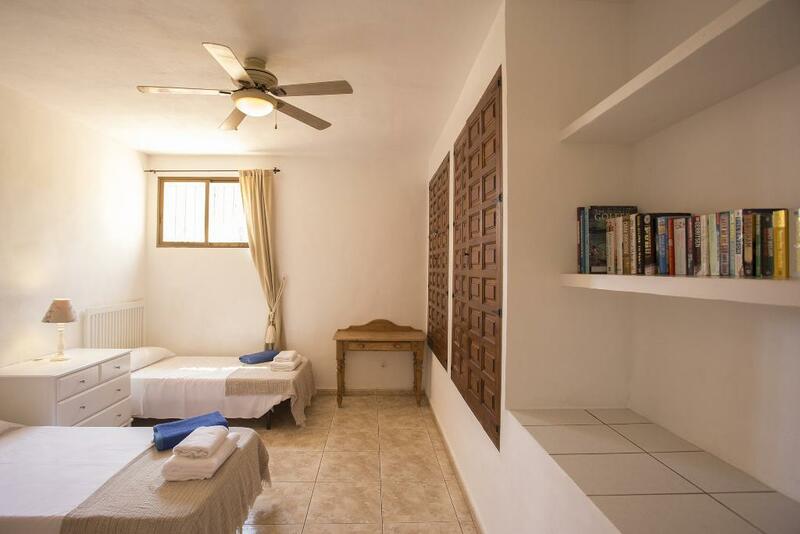 The spacious and comfortable villa consists of 2 independent floors, each representing a separate residential unit. 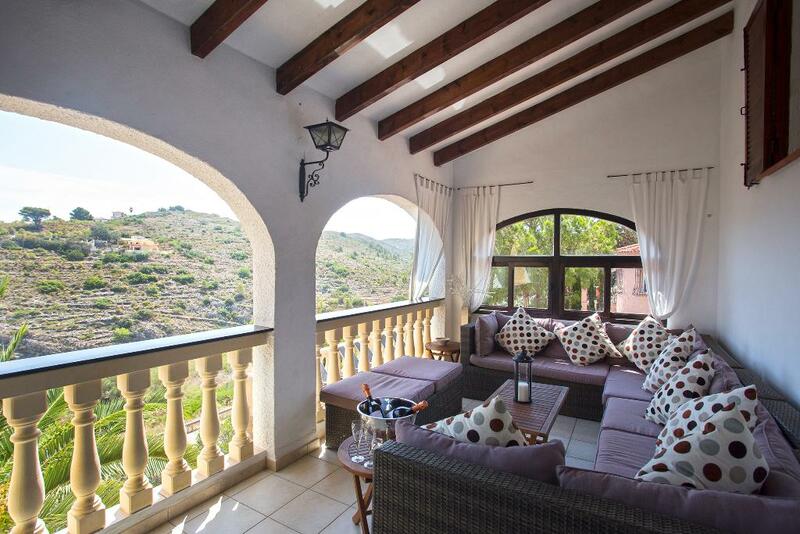 The main floor above, has 4 bedrooms and 2 bathrooms, and access to a covered terrace - Lounge with stunning views. 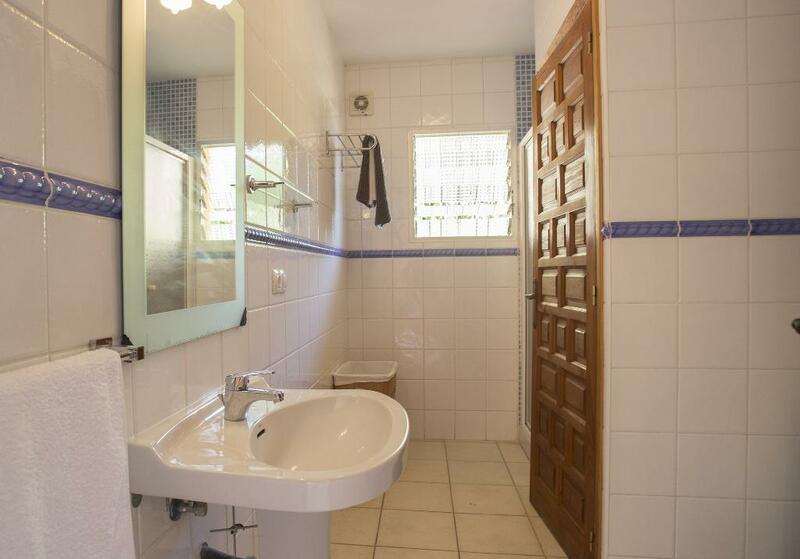 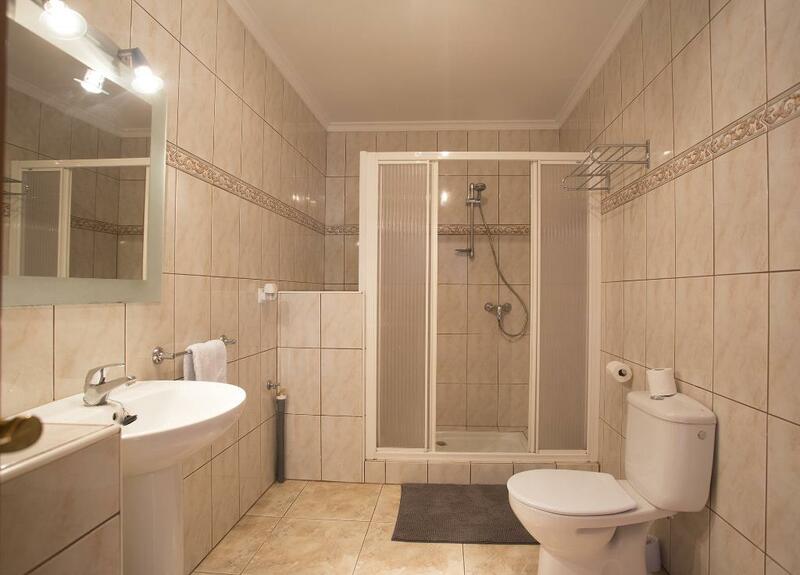 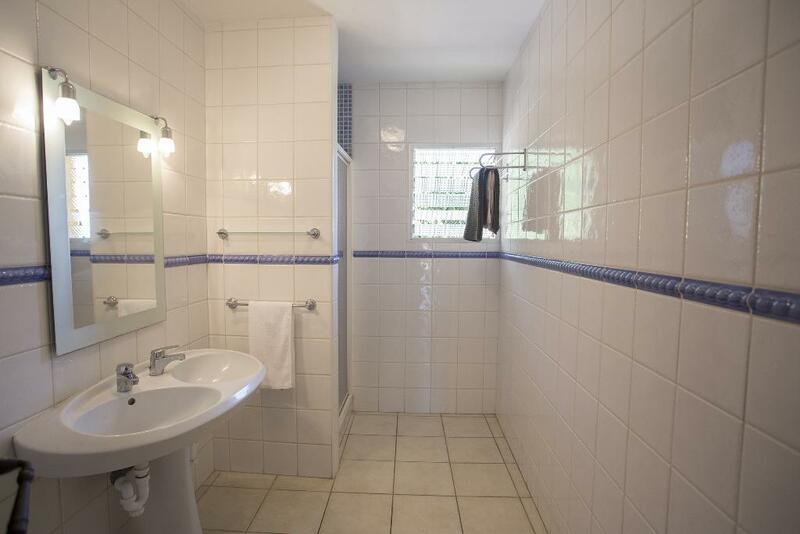 On the lower floor there is a separate apartment with 2 bedrooms and a bathroom. 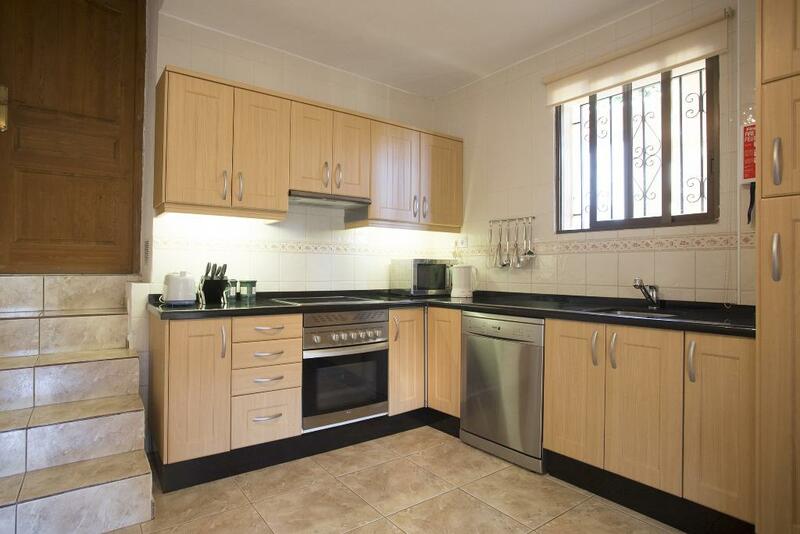 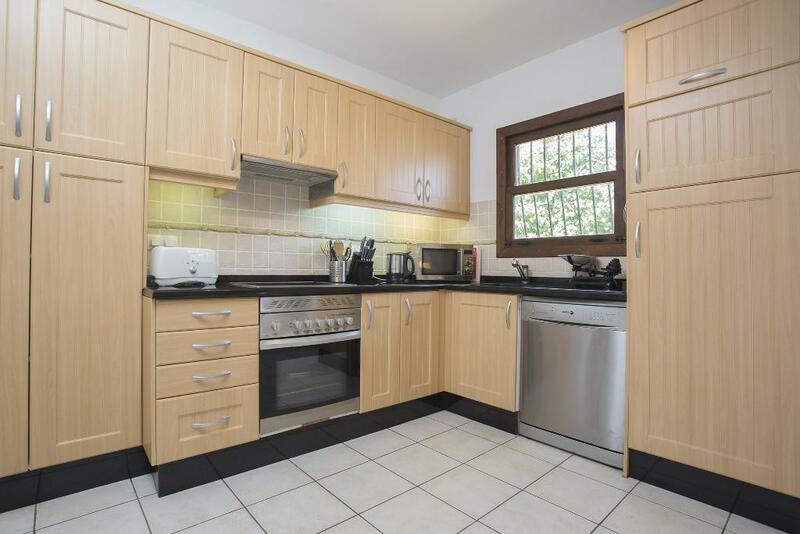 Both units come with fully equipped kitchens, as well as washing machines and air conditioners in the living area. 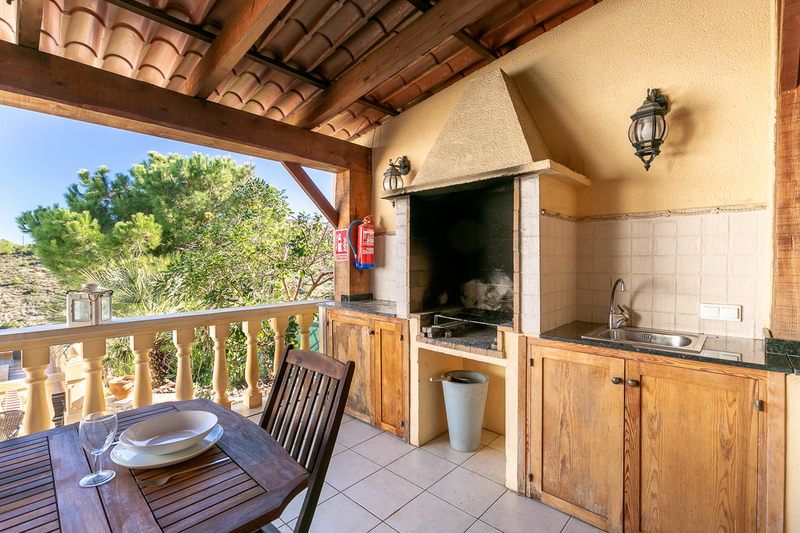 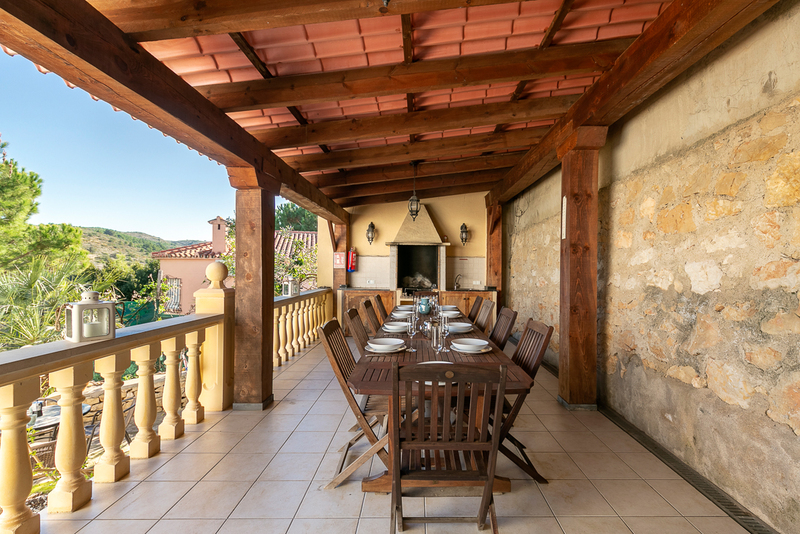 In addition to the private pool surrounded by a pool terrace with sunbeds, there is a covered dining area with brick-built barbecue and sink, perfect for an outdoor grilling and al fresco dining. 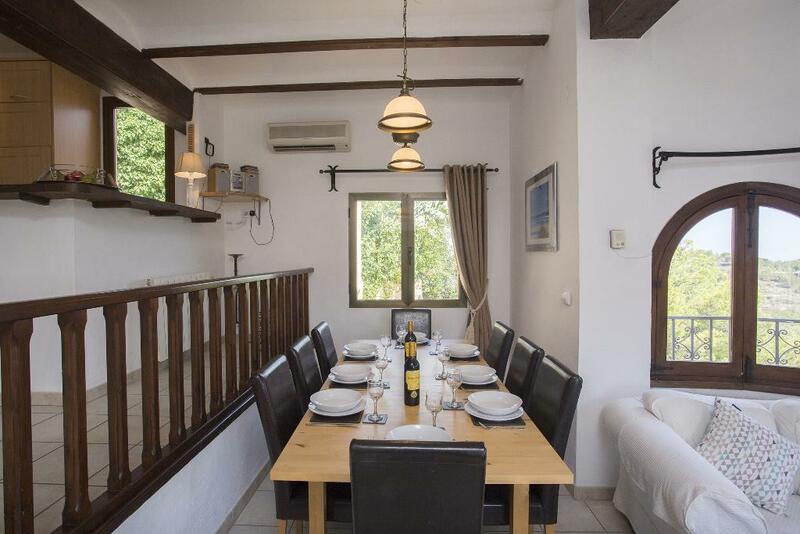 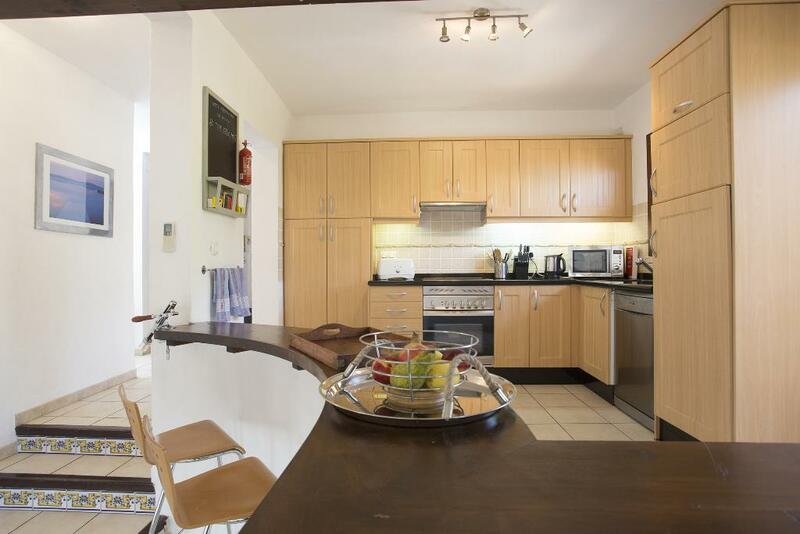 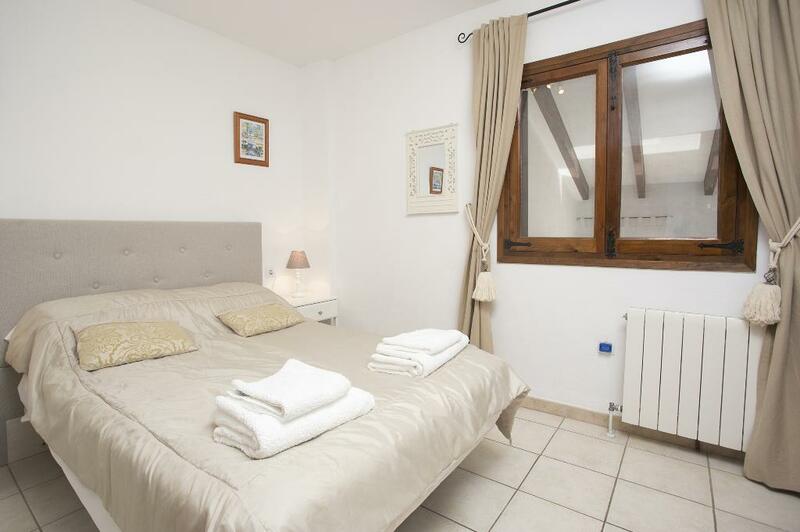 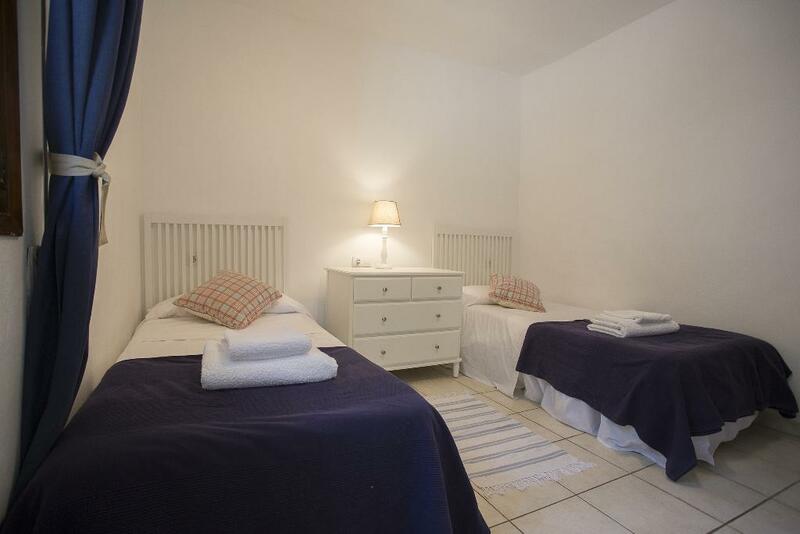 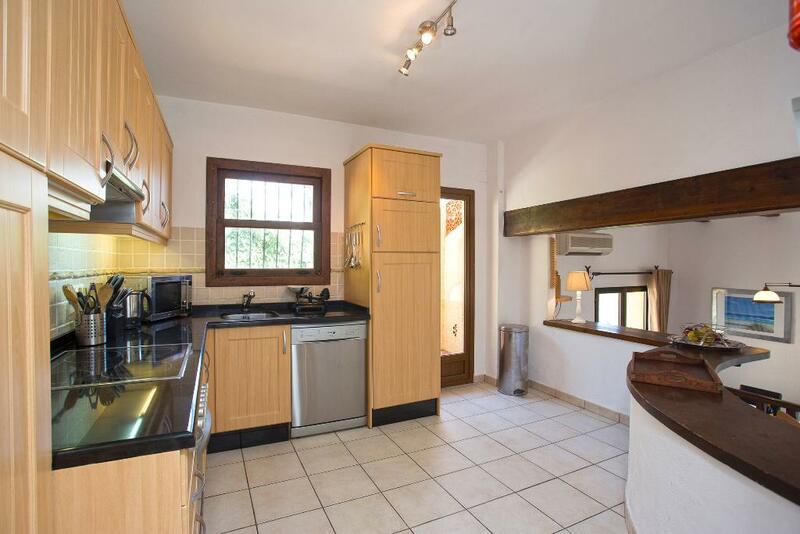 The property offers free Wi-Fi, satellite TV, and central heating for the colder seasons. 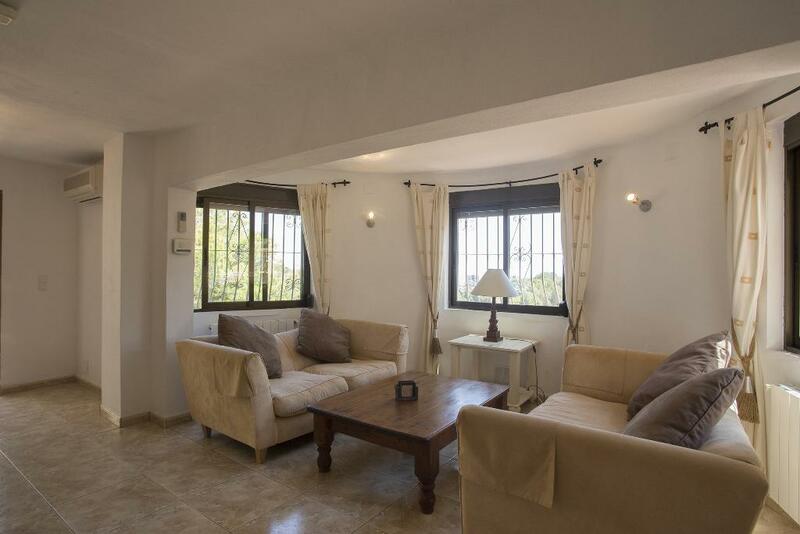 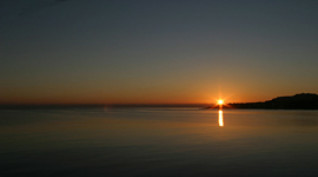 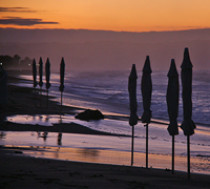 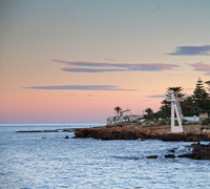 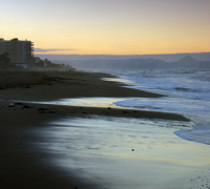 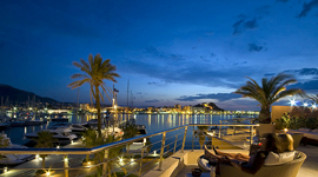 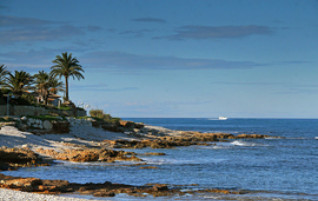 It is about a 5 minute drive to the sandy beach Marineta Cassiana and the Marina of Denia. 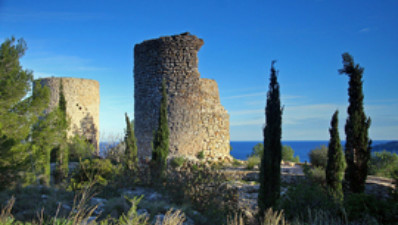 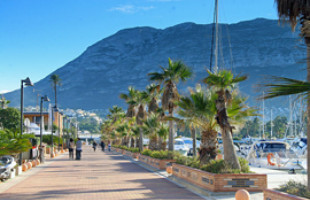 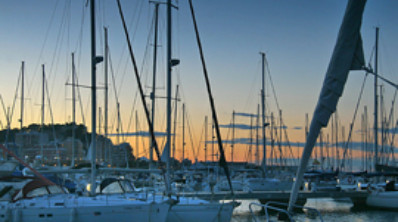 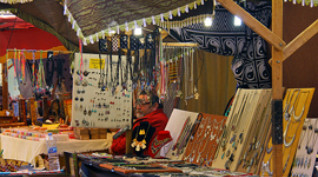 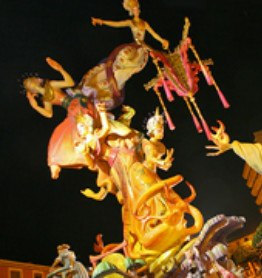 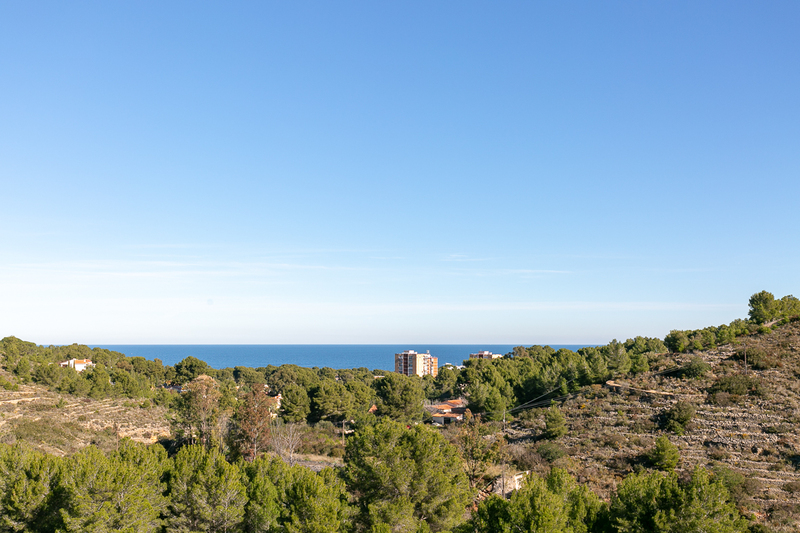 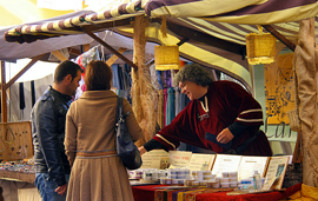 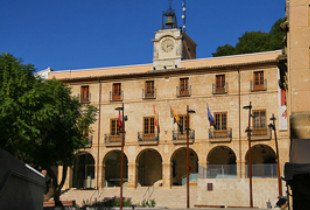 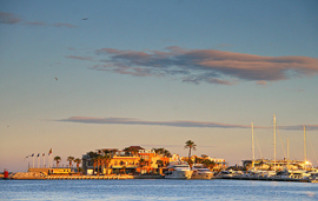 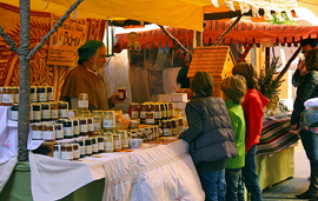 Different shops, supermarkets and the center of Denia can be reached in 10 minutes by car. 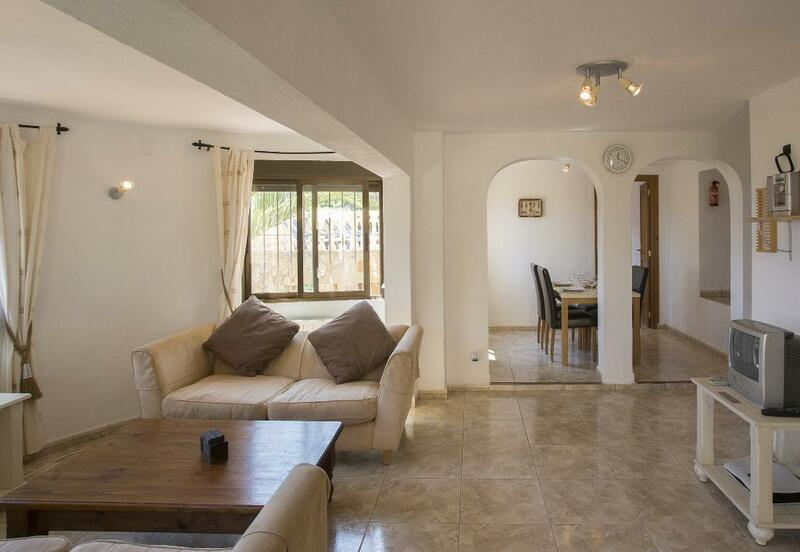 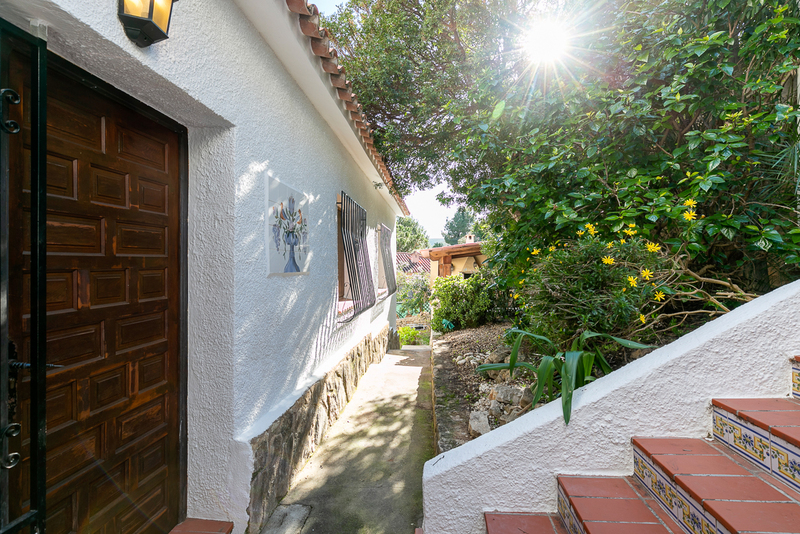 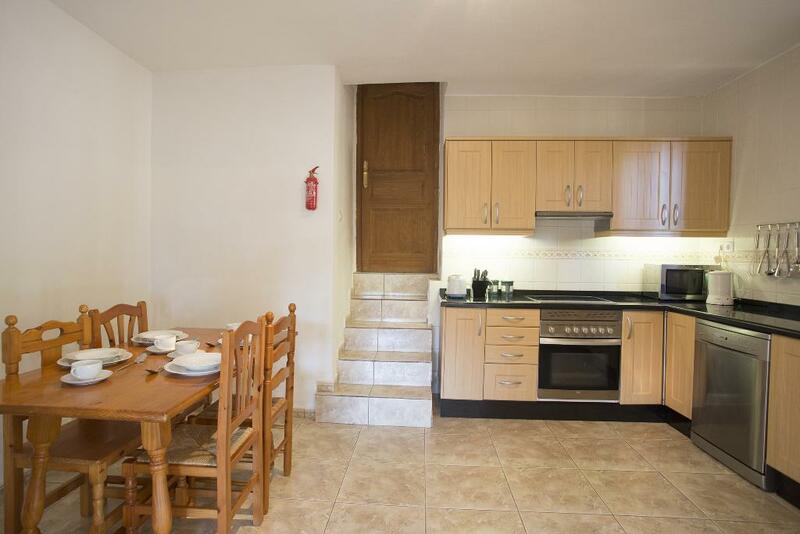 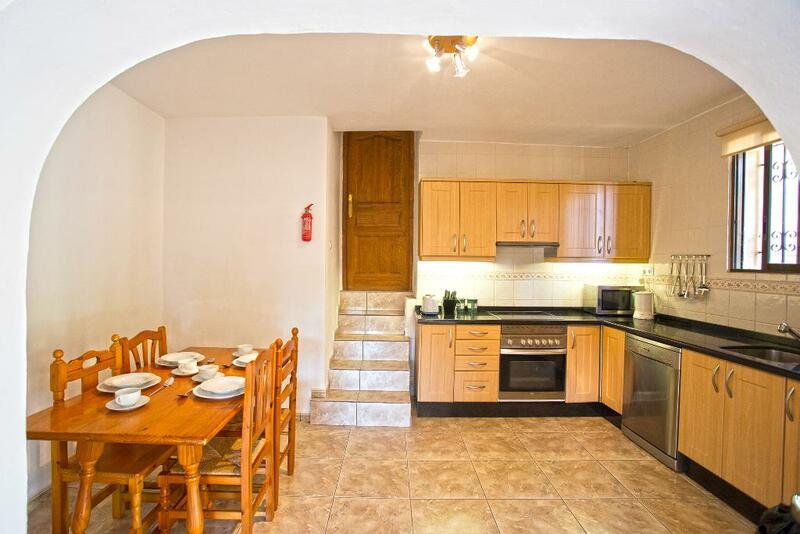 An ideal property for large groups or 2 families which want to spend their holidays together.